The Falcon is one of 120 pubs that Wandsworth has designated for protection. The pub, which has stained glass windows, dates to the 1800s. Chris Cox, who strongly supports a regulation in Wandsworth to protect pubs, says pubs serve a unique role in a U.K. community. 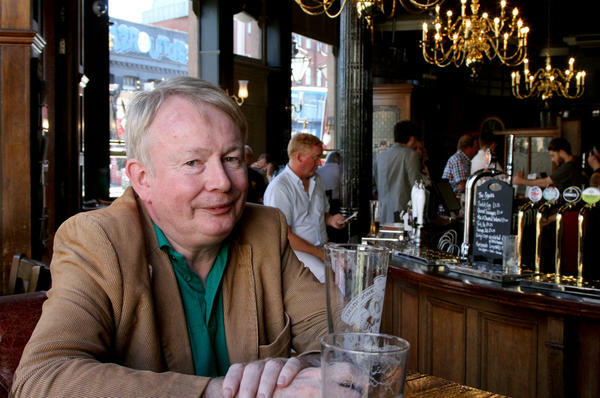 Jonathan Cook is a member of the Wandsworth Council, which created the regulation to preserve the pubs. Many pubs, including this one, have closed down in Wandsworth over the years. People blame high beer prices, changing social habits and rising real estate values for the loss of thousands of venues. The British pub is as much a part of the fabric of the United Kingdom as fish and chips and the queen, but each year hundreds close their doors for good. The reasons include the high price of beer, more people drinking at home and rising land prices. Now — in an apparent first — the London borough of Wandsworth has designated 120 pubs for protection, requiring owners who want to transform them into apartments or supermarkets to get local government approval first. Chris Cox has been watching pubs disappear in Wandsworth since the 1990s, and thinks the new regulation is great. Cox, who's just polished off a lager at the Falcon, one of the protected venues, says pubs provide far more to this nation than just beer and atmosphere. 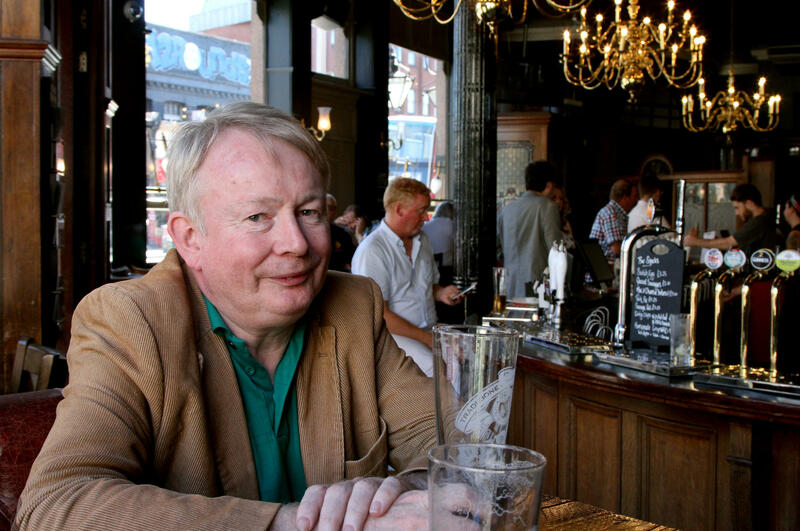 "A pub creates community," says Cox, who works in ergonomics and has lived in Wandsworth for more than three decades. At a pub, he says, you develop a relationship with other patrons and the staff, who keep tabs on you: "If they don't see you, they will ask questions — 'I wonder where he is?' And you end up with a supporting network." Jonathan Cook, deputy leader of the Wandsworth Council, says one of the big reasons pubs are closing in this borough south of the Thames is because of the city's real estate boom. For some pub owners, it makes more economic sense to sell to a buyer who wants to build a mini-supermarket or apartments. "What we're saying is, 'Well, hang on a minute — we have an interest here as well. The community values the pub and you've got to factor that into the equation,'" says Cook. Shuttered pubs litter Wandsworth. The door to the old Ram Brewery is sealed in concrete. Aluminum sheets cover the windows of the Prince of Wales. In 1992, there were 67,800 public houses in the United Kingdom, according to the British Beer and Pub Association; by 2014, the association estimates that number had dropped by a quarter to 51,900. During the same period, the country's population increased by more than 10 percent. The association blames changing tastes, including the growth in wine drinking, and high taxes for boosting beer prices. But the organization, which represents major brewers and pub-owning companies, opposes Wandsworth's solution. "This can create a certain amount of uncertainty for all businesses in the pub sector," said Neil Williams, a spokesman for the association. "It makes it very difficult for a pub operator to sell on a venue." Cook, the Wandsworth councilman, says the 120 pubs the borough has designated for protection are all thriving businesses. He emphasized that Wandsworth is not interested in propping up failing enterprises, but doesn't want to see any more valued venues sold off for other uses without public input. Unlike the British Beer and Pub Association, David Law, who leases and runs the Eagle Ale House, thinks Wandsworth's new regulation is crucial for protecting pubs. In fact, he hopes other jurisdictions across the country adopt Wandsworth's idea and it goes national. "We protect our museums, our art galleries and our libraries," says Law. "A pub is a very big institution in the U.K. So I would argue that we need to be helping them and make them flourishing. We don't need to lose any more." Score one point for British politicians. Leaders of the U.K. have yet to figure out exactly how the country is supposed to leave the European Union, but they have come up with a plan to preserve a treasured British institution - the pub. Many are closing, apparently, due to the high price of beer, as well as more people drinking at home and rising property prices. 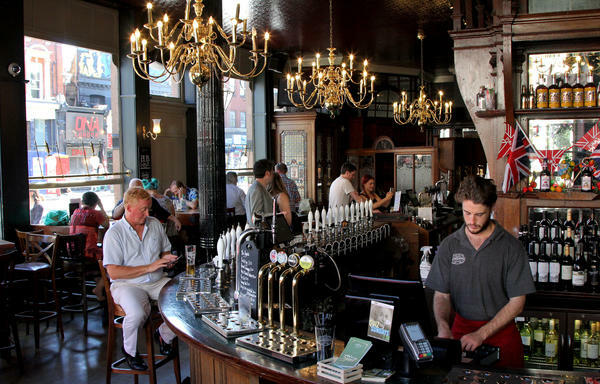 Now, in an apparent first, a London borough has designated 120 pubs for protection. Owners who want to convert pubs into apartments or supermarkets must first get local government approval. NPR's Frank Langfitt reports from that borough, Wandsworth. FRANK LANGFITT, BYLINE: More than a dozen customers are hanging out at the Falcon this weekday afternoon. The bartender pulls down the tap handle and fills glass after glass with amber ale. Chris Cox is sitting at a booth waiting on a friend. Cox says pubs here began disappearing years ago. CHRIS COX: In this road alone, Falcon Road, at least two pubs have been closed down in the last 15 years. On York Road, another four pubs have gone. LANGFITT: The Falcon is more than a century old. It's a classic British pub with polished wood, chandeliers and stained glass. But Cox, who's lived here for more than three decades, says pubs provide more than just beer and atmosphere. COX: A pub creates community. And you have acquaintances within a pub and they will - they protect you. You build a relationship with the bar staff, and they ask questions about your health, your attitude. If they don't see you, they'll go around ask questions - I wonder where he is. And you end up with a supporting network. JONATHAN COOK: Hi. I'm Jonathan Cook. I'm the deputy leader of Wandsworth Council. LANGFITT: Cook says one of the big reasons pubs are closing down in this borough south of the Thames is because land has become so valuable. COOK: Property prices in London, particularly inner London, a borough like ours, have been rising relentlessly. In many ways, that's a positive thing. It's a sign of prosperity. LANGFITT: It's also served as a signal to many owners to sell. COOK: Perhaps an owner of a pub, if they're made an offer by a mini supermarket of a big chain, they might think, well, hey, that's an attractive offer. And what we're saying is, well, hang on a minute. We've got an interest here as well. The community values the pub, and you've got to factor that into the equation as well. LANGFITT: So Jonathan Cook - he's talking about places like this. It's the Prince of Wales pub, and it's really pretty. It's got nice molding and wrought iron out front. But it also has right now big aluminum sheets across the windows. It's been shut down for a long time. And sooner or later, it's actually going to be turned into a Tesco supermarket. 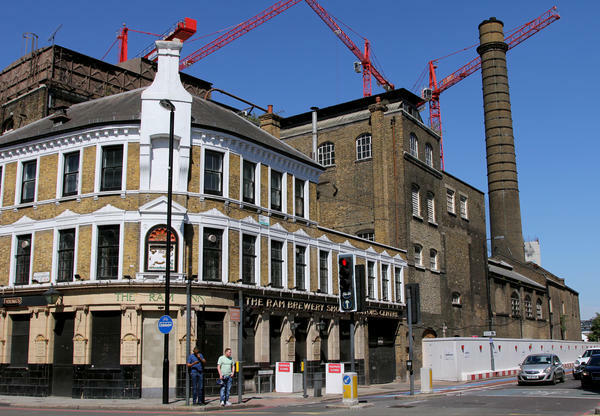 The British Beer and Pub Association says about 10,000 pubs have disappeared in Great Britain in the last decade. But it opposes Wandsworth's solution. 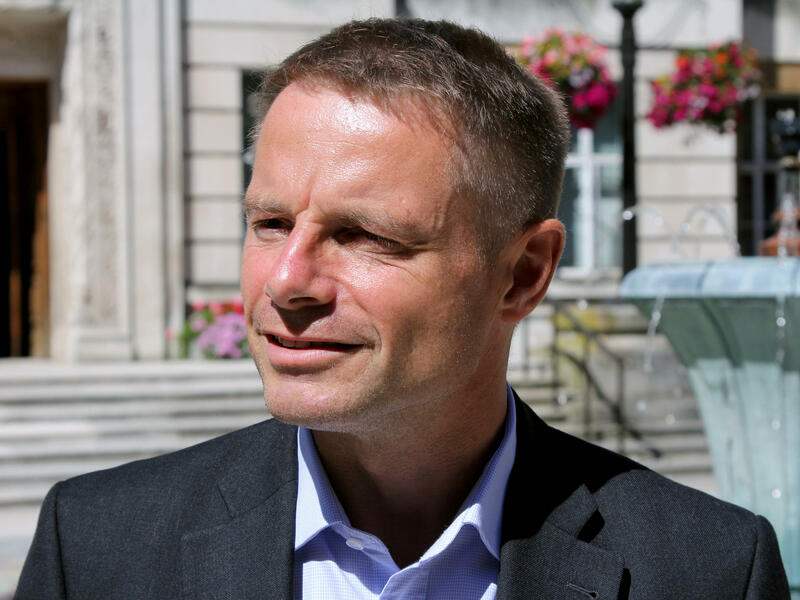 Neil Williams is a spokesman for the association, which represents major brewers and pub-owning companies. NEIL WILLIAMS: This can create a certain amount of uncertainty for old businesses in the pub sector, be they large or small. It makes it very difficult for a pub operator to sell on a venue. LANGFITT: Jonathan Cook emphasizes that Wandsworth isn't propping up failing pubs. COOK: No. We would argue it's almost the opposite of that because all of the pubs that we're interested in protecting the way that we have are thriving businesses. That's kind of the point. DAVID LAW: I think it's a fantastic step in the right direction. LANGFITT: David Law leases and runs the Eagle Ale House. He wants the policy in Wandsworth to go national. LAW: We protect our museums, our art galleries and our libraries. A pub is a very big institution in the U.K. So I would argue that, you know, we need to be helping them and make them flourish. LANGFITT: And as Law sees it, the United Kingdom doesn't need to lose any more. Frank Langfitt, NPR News, Wandsworth. Transcript provided by NPR, Copyright NPR.